The North Pinellas Regional Chamber of Commerce held a town hall meeting on June 12, 2014 at their offices, located at 3150 Curlew Rd, Oldsmar. Representatives from Friends of Greenlight and No Tax For Tracks were invited to advocate for their respective positions. Each had an opportunity to speak to a packed house and used graphics and supportive materials to present their respective positions. The presentations were followed by questions from those in attendance. Both sides were represented by supportive constituents. The North Pinellas Regional Chamber of Commerce, having heard from both sides, has made a decision not to support Greenlight Pinellas. 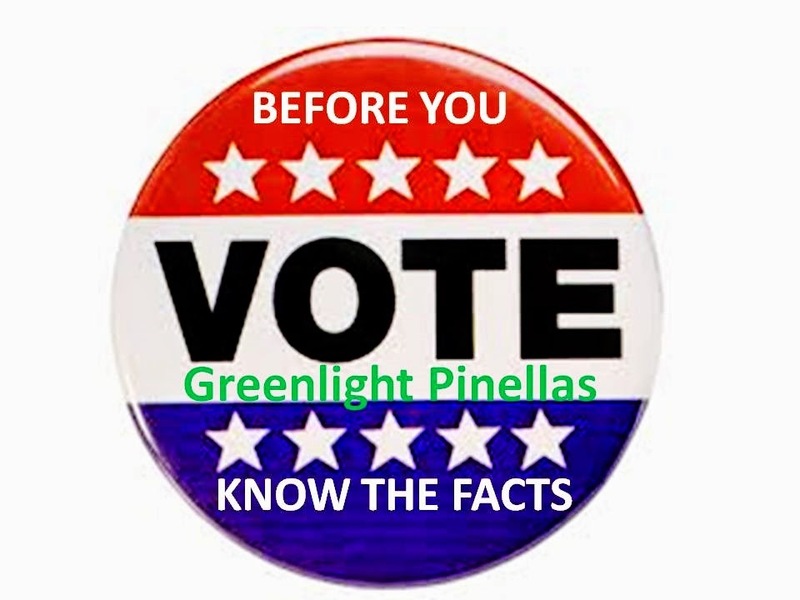 “It is the opinion of our Board, based on a consensus of our members, those present at the Town Hall meeting, a polling of our local small business owners and our Board of Directors that Greenlight Pinellas is not in the best interests of the small businesses in the communities that we serve” states, Tory Perfetti, Chairman of the NPRCC Governmental Affairs committee. The North Pinellas Regional Chamber of Commerce is a regional Chamber serving the Clearwater, Safety Harbor, Dunedin, Tarpon Springs, Oldsmar and Palm Harbor communities. any of the people we spoke with feel the PSTA is in dire need of improving their various routes, frequency and services, the net sum gain to our area businesses as it is presented is not significant enough to warrant an increase in our local sales tax. There were other concerns about the validity of the proposed Greenlight Pinellas budget and implementation of the plan as well as a host of questions about how North Pinellas businesses could benefit from the rail and bus improvements as presented”.